Monitoring weight is an essential part of fitness, and even more so for professional athletes. Some sports, such as boxing, have strict weight categories the athletes must maintain in order to fight. The food industry is complex with many steps involved in harvesting the raw ingredients, processing them, and selling them in stores. 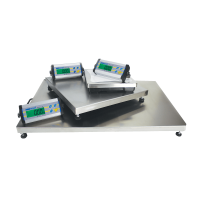 Scales are used in virtually every step from farm to table, serving a variety of purposes for the many applications in the food chain.